To coincide with the exhibition at IMMA, Eyemaker by Dorothy Cross will be shown at the National Gallery of Ireland from 3 December 2014 to 8 March 2015. Johanne Mullan (National Programmer, IMMA) introduces the exhibition Trove at IMMA and the various narratives that tie this interdisciplinary presentation of contemporary artworks and objects together. Dorothy Cross and Lisa Le Feuvre (Head of Sculptor, Henry Moore Insitute, UK) discusses how artist-curated exhibitions open up new ways we can look and think about art. Read more. Booking is essential for IMMA Talks. Book your free tickets here. 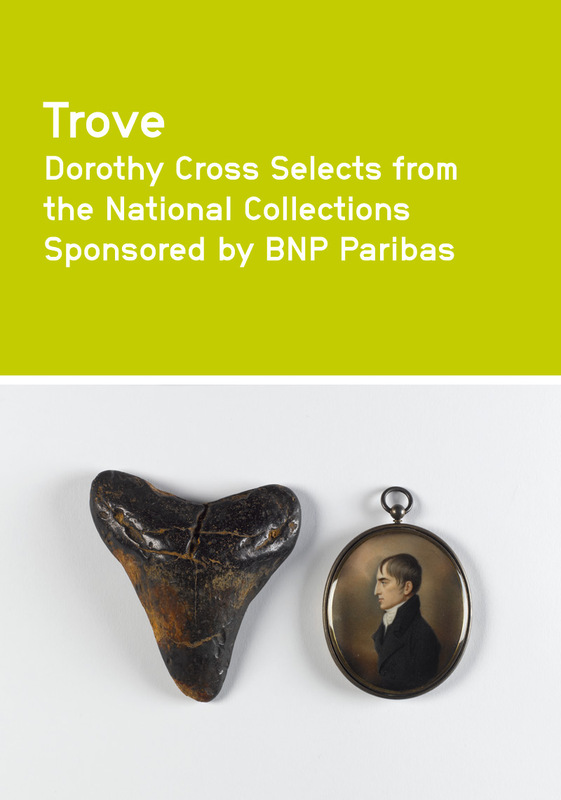 Trove exhibition partners invite you to explore the treasures of their collections with their in-house specialist team of curators and conservators through a series of talks and tours taking place across the partner institutions. As these talks are announced details will be available on our website. Enjoy a delicious brunch in the magnificent Baroque Chapel to celebrate Trove. After brunch guests will be treated to a special preview of the exhibition with IMMA Director Sarah Glennie and National Programme curator Johanne Mullan. Brunch attendees can avail of a special 30% discount on all IMMA Limited Editions on the day. Trove is presented as a partnership between IMMA, The National Museum of Ireland, The National Gallery of Ireland and Crawford Art Gallery. IMMA is grateful to The Department of Arts, Heritage and the Gaelteacht, Irish Traditional Music Archive, Athlone Castle Visitor Centre, Athlone Arts and Tourism Ltd, the Old Athlone Society and Westmeath County Council, for their support of the exhibition, and in particular our National Collection colleagues for their commitment to this project. Irish artist Dorothy Cross. After the talk members are invited to the official private opening at 6.00pm.